Maintained By Cat Dealer And In Excellent Working Condition Like New Machine. 80% undercarriage complete Good bevel gear, rear drive V12 engine removed 2-off transmissions, 1 good condition, 1 in need of rebuild Giant ripper A frame New blade New comb blade New rollers Base unit in one lot will need disassembly to pack in container, all other items removed. Opr Wt: 20 tons Cabin: Air Con Engine: Licensed CAT 3306B Power: 165 HP Speed: 1850rpm 4 stroke, water cooling. L X H X W: 4996 X 3416 X 3440mm. Short on time? Let dozers sellers contact you. Used CAT D6H Bulldozer from America. 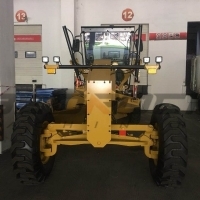 Brand:CAT Model:D6H Place of Origin :America Current Location:Shanghai,China Feature: in good working condition. 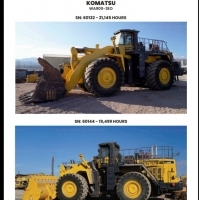 We are specialized in selling used machinery such as excavators, wheel loaders, road rollers, caterpillar, dozer, graders, automobile hoists and so on.The used construction machinery we sell include komatsu, kato, tadano, isuzu, mitsabishi, kawasaki, hitachi, cat, daewoo, hyundai, kobelco, xcmg and etc.All used machinery is purchased in our country or imported from japan, so we can provide the best quality machinery but competitive price.We have exported our machinery to russia, middle east, america, africa, western europe, south asia, and gained high reputation from our clients. 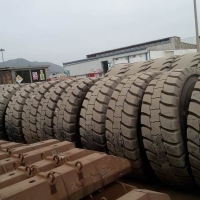 31 X New Michelin 33.00R51 X XDR2 Tires For Sale As A Package. EX Works Callao Port, Peru. 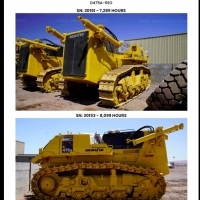 Spares for heavy earthmoving equipments Bull dozer & excavators. Dumper parts, spares parts for heavy earthmoving equipments. Quanzhou Kelong Machinery Equipment Co., Ltd.